Locksmiths come in all shapes and sizes! It’s true. Not every locksmith company has the trained and experienced team to be able to handle all of the various locking situations and problems that come their way. Some of these situations do require a more specialist service, and it’s important to know that not every locksmith is specialised in every area. When searching for your ideal locksmith, there are five different types of locksmiths to look out for. All providing specialist services, for example, commercial locksmiths or automotive locksmiths etc. It’s important to understand what it is you’re looking for because not only does this help narrow down your search but it saves time when looking for a specific locksmith in your area when you have an emergency! Residential Locksmith – ultimately these guys are the ones who will get you back into your home if you find yourself locked out! Residential locksmiths can also help with duplicate house keys, fixing broken or faulty locks, as well as help with shed and garage locks too. Anything to do with your home when it comes to locks falls within a domestic locksmith’s remit. Finding a local residential locksmith can be important when it comes to finding someone to help you with inspecting your door and window locks, supporting you in making your home more secure, and putting your mind at ease. Residential locksmiths can provide services such as information on the latest locking mechanisms, double locks, best locks for the door and frame in question, expert advice and more. 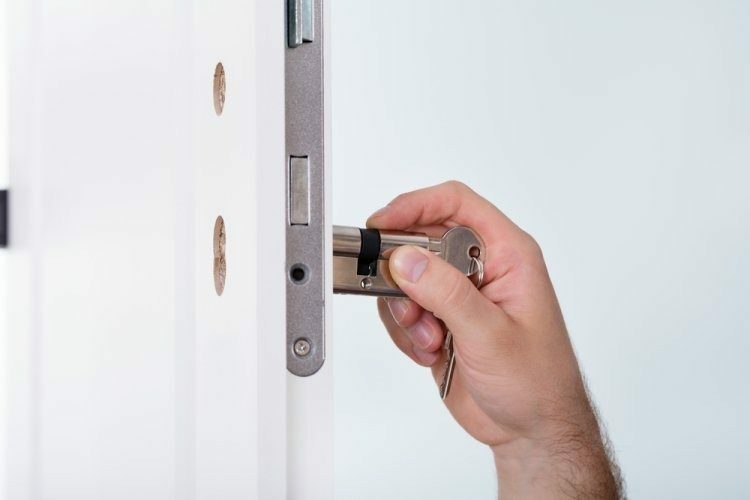 Many residential locksmiths also work with local housing authorities, estate agents, and privately let properties, etc, where you need to replace or repair locks before new tenants move in. Commercial Locksmith – let us start by saying that there is a big difference between an office and a home when it comes to the different types of security systems you would look to install. Within most commercial properties a higher level of security is introduced and more sophisticated technology and locks, mainly to satisfy insurance requirements placed on business as well as HSE regulations when it comes to fire doors and emergency exits, etc. A commercial locksmith will also bear in mind that not all doors within an office will need the same level of security, so will be able to provide advice and guidance on best systems to suit individual needs. Automotive Locksmith – are you locked out of your vehicle, or maybe your car key has snapped or is damaged? You need a car locking expert. Experts in programming transponder keys, cutting new keys (even on the roadside) and being able to work with various types and brands of vehicles are just some of the skills of an automotive locksmith. Safes – growing in popularity for both commercial and residential customers safes come in a range of shapes and sizes and once installed by a professional, should last a lifetime (or until you upgrade). From replacing electronic keypads to repairing key locks or removing or disposing of safes – everything should be carried out by professionals. Safe locksmiths are experts in this specialist area. Master Key Locksmiths – mainly found in commercial premises but master key systems can also be offered within residential properties too. Master key systems involve installing and maintaining multiuse access control systems, usually found in a block of flats or apartments and help to up security for residents and stop strangers walking in. Businesses also use these systems to limit who can enter different areas within the building/office, which can prove to be invaluable for some companies. At Tyne Tees Locks, we offer the full package. With locksmiths qualified and experienced to provide you with all of the locksmithing services above and MORE, you’re in great hands with Tyne Tees Locks. What’s more, no matter what your emergency, commercial, residential or vehicle, our aim is to reach you in 30 minutes. We’re always on hand to help, and we’ll never leave you feeling stranded. As one of the few remaining unregulated industries, there is a lot of people who claim to be a specialist locksmith. You need to find the ones that truly are. Knowing what type of locksmith, you’re looking for, someone local to you, will help. Contact an established, reputable company — one who goes above and beyond time and time again. Call Tyne Tees Locks today.